Mayor Mitch Landrieu and the New Orleans City Council is hosting a series of community meetings to discuss budget priorities as the City begins its 2017 budgeting for outcomes process. The meeting for District B will take place on Thursday, July 14 from 6 to 8 p.m. and will include Councilwoman Latoya Cantrell, New Orleans Police Department (NOPD) Superintendent Michael Harrison, and other city officials. The District B community meeting and will take place at KIPP Central City Academy, located at 2514 Third St., this Thursday. There will be a resource fair at 5:30 p.m., where residents may visit one-on-one with representatives from several City departments and agencies to address specific complaints and concerns. All community meetings will begin promptly at 6 p.m. Spanish will be available. According to the City of New Orleans, the goal of the budgeting for outcomes process is to produce a more resident-driven budget and ensure process improvement and accountability of our government performance. This national best practice is designed to enhance services and get a better return on investment of public dollars by encouraging City agencies to invest public resources based on the results residents and City leaders want to achieve. While traditional budgeting systems are hinged on incremental changes to the previous year’s level of effort, budgeting for outcomes ensures that all City budgets are funded based on how well they achieve residents’ priorities. 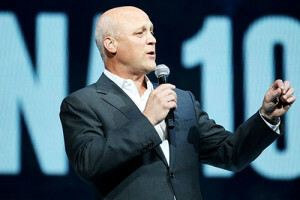 Other City officials attending will include deputy mayors, New Orleans Police Department (NOPD) Superintendent Michael Harrison, New Orleans Fire Department (NOFD) Superintendent Tim McConnell and other department and agency leaders. Residents who cannot attend community meetings are invited to share their comments and input by sending e-mail to mayor@nola.gov. The owner has a point, and we’ve spent so long dealing with our city infrastructure that we don’t see how senseless it is that we have a board that takes legal actions on things far outside the simple alcohol permit realm (more like moral policing through controlled capitalism) and special security zones to pick up where the cities police leave off. If an area is having a problem, then we need the police over there more, and not some special taxation zone for a private security guard. Maybe those guards should be part of the whole city task force, and drive everywhere. If you can’t do that with police, then raise the tax on all businesses across the board to get something done. If there is a problem there, THEN START CONSIDERING WHAT LAWS WE ENFORCE THAT AREN’T HURTING PEOPLE. That way, we have police for where we need them, and not the possibility that you could maybe sorta get some okay help possibly. As far as the alcohol board, it should be discussing the value of permits, and it shouldn’t be able to control the function of businesses, only to control a permit. Leave the rest to the zoning board.